Connecticut financial advisor, Robert Tricarico, was sentenced to 41 months in prison. 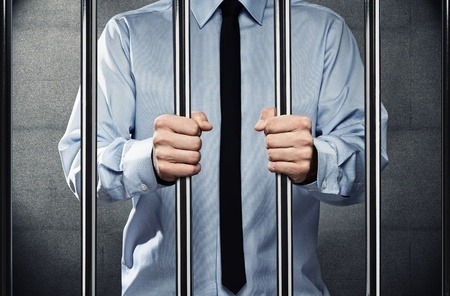 According to various reports, a former Connecticut financial advisor, Robert Tricarico, was sentenced to 41 months in prison for allegedly stealing more than $1.2 million from an elderly client. Tricarico, 60, will also reportedly have three years of supervised release after his federal prison sentence. According to the United States Attorney for Connecticut, Robert N. Tricarico, 60, of Milford pleaded guilty to fraud June 16th in Hartford federal court to one count of wire fraud. Tricarico was a registered securities broker and was associated with various financial firms, according to FINRA. Tricarico allegedly misappropriated more than $1.1 million from the victim by writing numerous checks to both himself and for his benefit. He also allegedly admitted to defrauding two other victims of $20,000, according to court documents. Brokerage firms are required to adequately supervise their agents to ensure that they are complying with all the relevant securities laws and regulations. If the firm fails to properly supervise its agent, the firm can be held responsible for any resulting losses in a FINRA arbitration claim. According to his FINRA BrokerCheck, Tricarico was registered as a financial advisor with LPL Financial from May 2011 – until January 2015 and Wells Fargo from March 2009 until May 2011. His BrokerCheck report also indicates that he was the advisor of record on at least six customer complaints and a total of sixteen disclosures. Tricarico was permanently barred from the securities industry in April 2015. If you invested with Robert Tricarico and would like a free consultation with a securities attorney, please call the offices of The White Law Group at 888-637-5510.